Game Shift is a simple design 3 column blogger template. 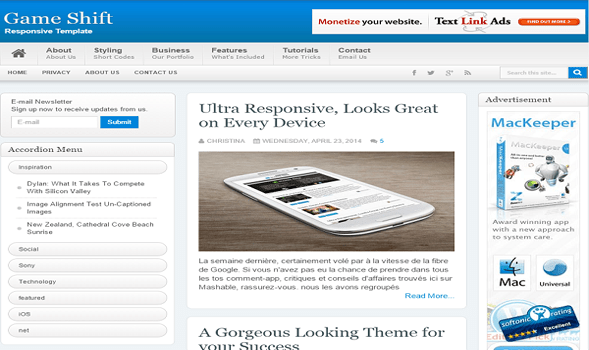 We’re adding ‘Accordion Menu bar’ in this free blogger template. Because of Accordion navigation bar Your visitors can see all the posts on the go. Accordion drop down widget makes it easy to switch to other posts.